Eiko Kadono’s playful tales about a young witch and her furry companion have entertained generations of Japanese readers, and have now earned her one of the highest honours in children’s literature. Last month the 83-year-old was awarded the 2018 Hans Christian Andersen Award, sometimes called the Little Nobel Prize for Literature. The jury described the “ineffable charm” of Ms Kadono’s picture books and novels, deeply rooted in Japan. She was inspired to write her most famous series – Kiki’s Delivery Service or Majo no Takkyubin in Japanese – after her young daughter drew a picture of a witch with musical notes flying around it. “I made Kiki around the same age as my daughter was at that time, just between childhood and adulthood,” Ms Kadono said, according to the Asahi Shimbun. Born in Tokyo, Ms Kadono was evacuated from her home at age ten and sent to northern Japan during World War Two. After the war was over, she attended university in Japan before emigrating to Brazil for a few years. Some of her works, including Forest of Tunnel and Brazil and My Friend Luizinho, were inspired by her wartime experiences and years in Brazil. The author describes herself as a “late bloomer”, owing to the fact that she was 35 when her first book came out. “I was more a reader than a writer. [But] after trial and error, I realised I loved writing,” she told Japanese media at a recent press conference. She has published close to 200 original works, including picture books, stories for young adults and essay anthologies. 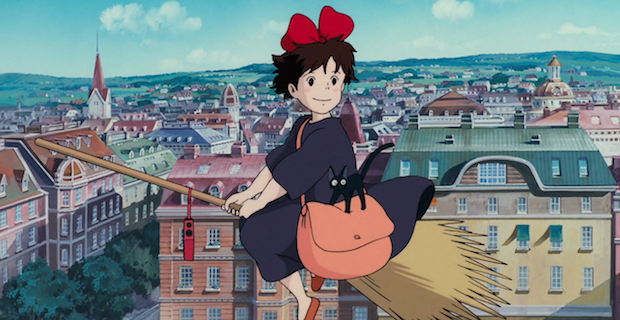 But her most famous work is undoubtedly Kiki’s Delivery Service.